Liza Soberano and Enrique Gil used to play bit roles and third wheel characters before they became the love team LizQuen. Enrique, also known as Quen in showbiz, started his career earlier in 2008, playing supporting roles in teleseryes and eventually, in movies. Liza, on the other hand, first got a taste of acting via an episode of Wansapantaym in 2012, which she top-billed. During that time, Enrique was already playing meatier roles on television. Not too long, they would cross each other's paths and become one of ABS-CBN's most popular love teams. Enrique's big break came in 2011 when he was cast as the third wheel to Lauren Young and JM De Guzman in the remake of Mula sa Puso, which went on air for 20 weeks. In the show, Enrique played the role of Michael, a character once played by Diether Ocampo in the 1997 version. At the same time, he was one of the two lead actors in the weekly drama series Good Vibes. The other actor was Sam Concepcion. This was followed by another project, Budoy, where he played the third wheel to Jessy Mendiola and Gerald Anderson. The role had a different take this time when Enrique ended up with Jessy's character. But then, their characters met a tragic ending and were both killed. In 2012, Enrique's most memorable third wheel role came via the prime-time series Princess and I, starring Kathryn Bernardo and Daniel Padilla. As revealed in PEP.ph's Anatomy of a Teleserye, his character Dasho Jao was supposed to end up with Kathryn's Mikay, but KathNiel's fan base was so strong. The fans' pleas were heard by the show's executives and Kathryn and Daniel's character eventually ended up together. Even then, Enrique got a taste of playing leading men to Julia Montes in Muling Buksan ang Puso and Julia Barretto in Mira Bella. Meanwhile, Liza's first teleserye stint was in Kung Ako'y Iiwan Mo, as Jake Cuenca's younger sister. ABS-CBN then decided to groom her as a kontrabida, when she was cast as the third wheel to KathNiel in their first solo movie, Must Be Love, shown in 2013. After the project, Liza was supposed to play Julia Barretto's kontrabida in Mira Bella. However, she was pulled out from the project. Back then, Enrique was not yet Julia's leading man. Apparently, the network decided to place Liza in the second chapter of KathNiel's series Got To Believe as Alex, the new girlfriend of Joaquin (Daniel) who would eventually figure in a rivalry against Chichay (Kathryn). This was the second time that Liza played the third wheel to a KathNiel project. Before they became LizQuen, viewers knew that Liza and Enrique would become a love team when Enrique had a cameo role in Must Be Love, where Liza's character bumped into a dashing Enrique, which made her stunned. Liza and Enrique were doing separate projects on television when Star Cinema—the film arm of ABS-CBN—cast them in the movie She's The One, starring Bea Alonzo and Dingdong Dantes. Enrique played Bea's boyfriend, while Liza is Enrique's best friend who had hidden feelings for him. In an interview with YES! Magazine published in 2015, Enrique recalled how he was mesmerized with Liza's beauty. It happened when She's The One director Mae Cruz-Alviar called his attention as he kept on staring at Liza's face! In October 2014, Liza and Enrique were finally given their own series, the prime-time teleserye Forevermore. Set in La Presa, Benguet, Liza played Agnes, the beautiful and hardworking daughter of a strawberry farmer. She later crossed paths with the rich and handsome Alexander "Xander" Grande III, who crashed into Agnes' strawberry truck while base jumping. Xander was then forced to do an immersion at Agnes' town, which became the gateway to a budding romance between them. Forevermore ran for seven months and was a consistent top-rater in its timeslot. Based on Kantar National TV ratings, the show got its peak rating on its final episode, which was 39.3 percent. Following the success of Forevermore, Liza and Enrique were assigned to do two movies in 2015. The first was Just The Way You Are, which was based on the Wattpad novel The Bet, where Liza and Enrique played the characters of Sophia and Drake, respectively. For the movie, Liza had to be deglamorized—complete with braces and bangs. With her looks, Sophia became Drake's subject of ridicule. A bet would then make their hearts beat for each other. Not too long after, LizQuen did their second movie titled Everyday, I Love You. In this movie, Liza played an aspiring TV host who had to give up her dreams for her boyfriend, played by Gerald Anderson. Gerald later met an accident and fell into a coma, which paved the way for Liza to meet Enrique's character. Problems arose when Liza started falling for Enrique, along with Gerald suddenly waking up from the coma. Liza and Enrique welcomed 2016 with the teleserye Dolce Amore, which was partly shot in Italy. This time, Liza played Serena, a rich, Filipina woman who was adopted by an Italian. Finding herself stuck in an arranged marriage with Giancarlo (Matteo Guidicelli), she ran away to the Philippines. There, she met Enrique's character Tenten, a hardworking Tondo boy. The series ran from February to August 2016. Six months later, in February 2017, the LizQuen love team went back to the movies when they top-billed Star Cinema's Valentine offering, My Ex and Whys. It grossed P400 million worldwide, according to Star Cinema. In May 2018, they were crowned as the box office King and Queen for 2017 during the 49th Box-Office Entertainment Awards given by the Guillermo Mendoza Memorial Scholarship Foundation. In March 2018, Liza and Enrique's fantasy-themed series Bagani premiered on television. The two were only supposed to do special roles on the show's pilot week, but ABS-CBN management later decided to make them the lead stars of the show and extend their characters Ganda and Lakas, respectively. Even then, Liza and Enrique were not spared from intrigues for being cast in their roles, especially that they have foreign blood, and Bagani used some elements in Filipino mythology. The show ran for 23 weeks and ended its run in August 2018. 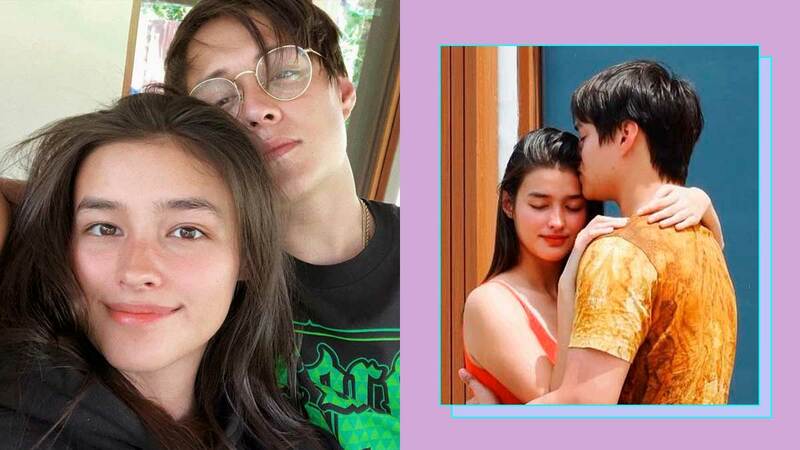 Since LizQuen's love team started, persistent talks and rumors are indicating that the two are already a real-life couple. These days, it seems like the two are not secretive anymore of their real status. One instance happened in the March 2018 press conference of Bagani, when Liza accidentally admitted the status of her relationship with Enrique. ABS-CBN News reporter MJ Felipe asked the cast if they are already "taken," and Liza's answer started with an "O" before stopping herself. In an interview after the press-con, Enrique would later tell reporters, "Para sa akin, taken na," while Liza said that they are "exclusive" to each other. In an earlier press-con, Enrique also said, "Parang kami na..." referring to his relationship with Liza. However, he explained, "Pero siyempre, I respect her lolo. May promise kasi siya sa lolo niya, ever since before, na at a certain age, 23 to 24, puwede na siya mag-boyfriend. So, I'll respect that. I'll respect that. But I said, where we are right now, okay na po ako, okay na ako." LizQuen To Go On Separate Ways? After Bagani, it seems like Liza and Enrique will do separate projects. It was already announced in May 2017 that Liza would do the Darna reboot and had been busy shooting the film. Meanwhile, Enrique already did other projects, like the films Dukot and Seven Sundays, both shown in 2017. Enrique would later reveal that he was supposed to be part of Darna, but management decided to pull him out to start a bigger project. Meanwhile, Liza said that she already shot her Narda scenes. Despite their separate projects, Liza said that she and Enrique are also set to do a film soon.